Transformation requires courage, commitment, and the ability to embrace uncertainty. While this can be a daunting journey, it doesn’t need to be completed in isolation or with fear. Sometimes a little guidance and focused direction is all that’s needed in order to identify the barriers that inhibit continuous growth both personally and professionally. In my book, readers are guided through the intersection of self-evaluation, introspective analysis, and personal discovery; ultimately arriving at a position of understanding and the ability to hack the gap. How am I going to find talented people to help grow my business? • What do I need to let go of to reach my desired goals? • How will I keep pace with the changing business environment? What inspires me to face each day with enthusiasm and fulfillment? How do I grow my business, and what are the steps required to make a possible transition or exit? While this is by no means an exhaustive list of thought-provoking questions, it gives you an idea of the themes that we will examine together. Develop a vision for your organization with buy-in and commitment from your employees. We can build that visual roadmap for your future together, and I can guide you on implementing the proper initiatives/goals to help attain your vision. Increase the engagement and accountability of the leaders in your organization and increase effective communication across all departments and teams. HOW DO WE WORK TOGETHER? I work with people that are committed to their personal and professional growth. Our first session will be the development of the visual roadmap for you and your organization, this usually takes about 4 hours to complete. Meetings twice per week which will be one hour in length. These can be completed via phone or in-person. You will gain greater clarity, direction and focus that will enable you to achieve your desired goals. We will create the visual roadmap that will be the guide for everything we do during our sessions and for your guidance. Advice may include but is not limited to marketing, sales, operations, sales forecasting, budgeting, human resources, cash flow analysis and many other areas you may have questions regarding. I will help you with many of your business concerns and questions. • A complimentary one-hour meeting with me either via phone or in person to discuss your personal or business concerns. 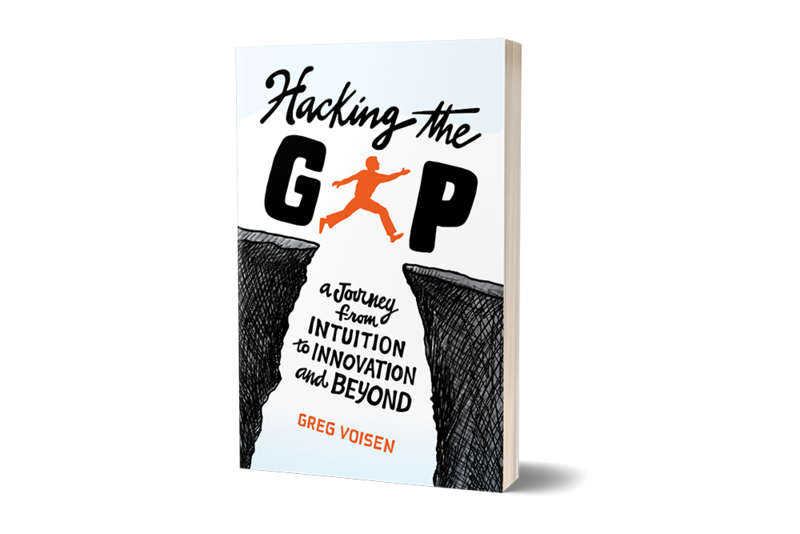 • A free copy of “Hacking the Gap - A Journey from Intuition to Innovation and Beyond”. • A free-copy of two transcripts and podcast files from the top 100 interviews from my podcast show Inside Personal Growth on business, wellness, personal growth and spirituality. It’s time to stop thinking and start doing. Move beyond empty platitudes and meaningless business jargon and position yourself for growth. Let’s map out the success-certain strategies that will empower you in all areas of life and beyond. Schedule your complimentary consultation and let’s talk about how you can and will move into a position of progress, profit, and long-term prosperity. It only takes one hour to set the course that will steer your future in the right direction. Let’s begin with your one-hour consultation today. Questions before scheduling your complimentary Consultation? Contact me. © 2019 gregvoisen.com. All Rights Reserved.